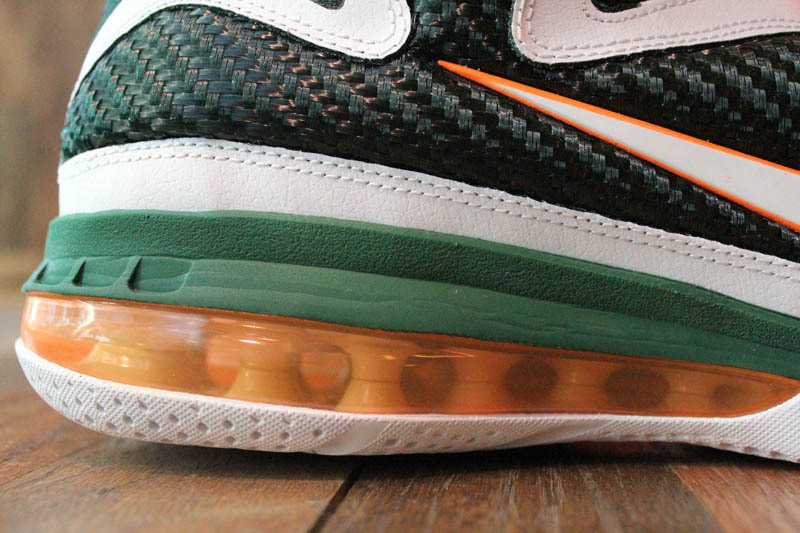 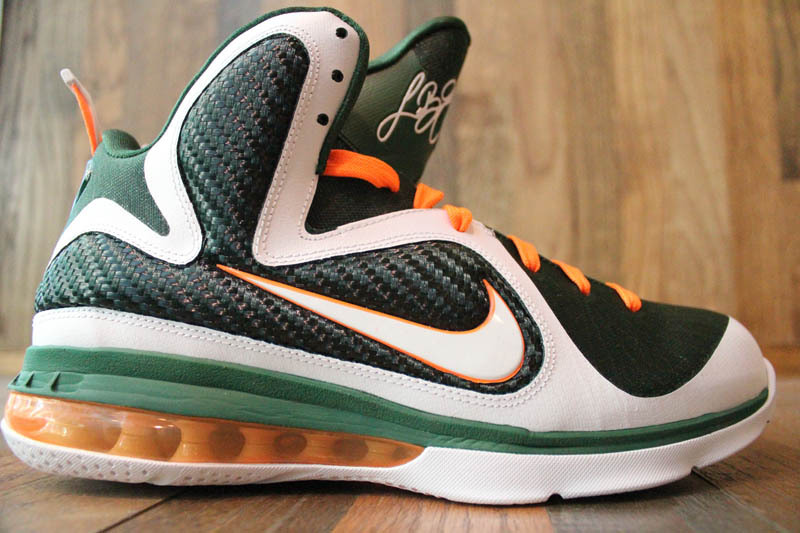 Forming somewhat of an intrastate basketball bond, the University of Miami Hurricanes basketball team is one of the select programs being outfitted in footwear and apparel from the Nike signature line of Miami Heat forward LeBron James. 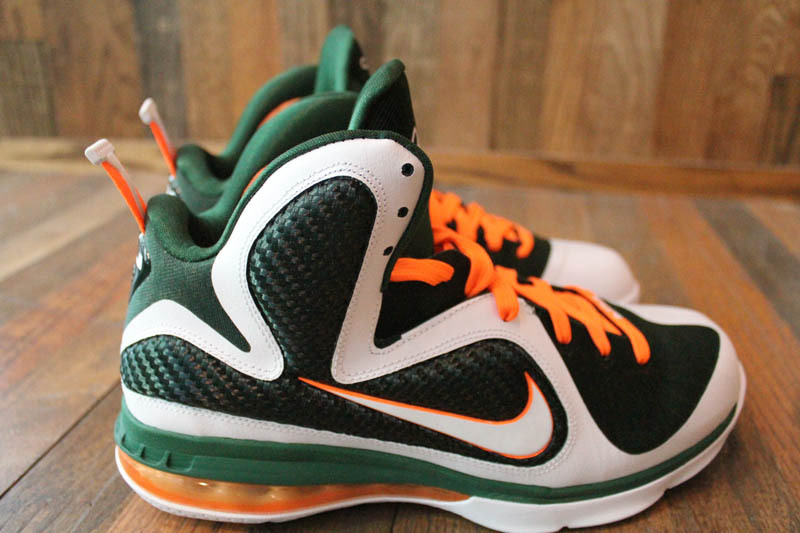 Forming somewhat of an intrastate basketball bond, the University of Miami Hurricanes basketball team is one of the select programs being outfitted in footwear and apparel from the Nike signature line of Miami Heat forward LeBron James. 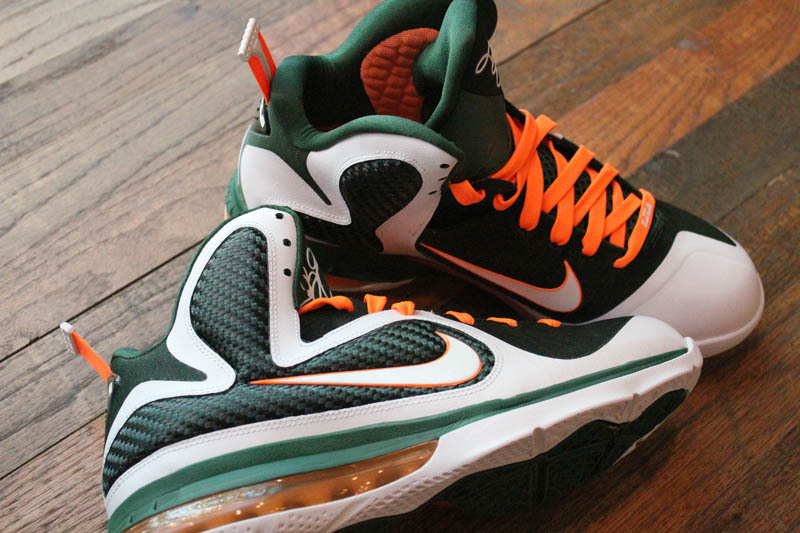 Pictured here is the Nike LeBron 9 inspired by the school's team colors that players have been wearing on the court this year. 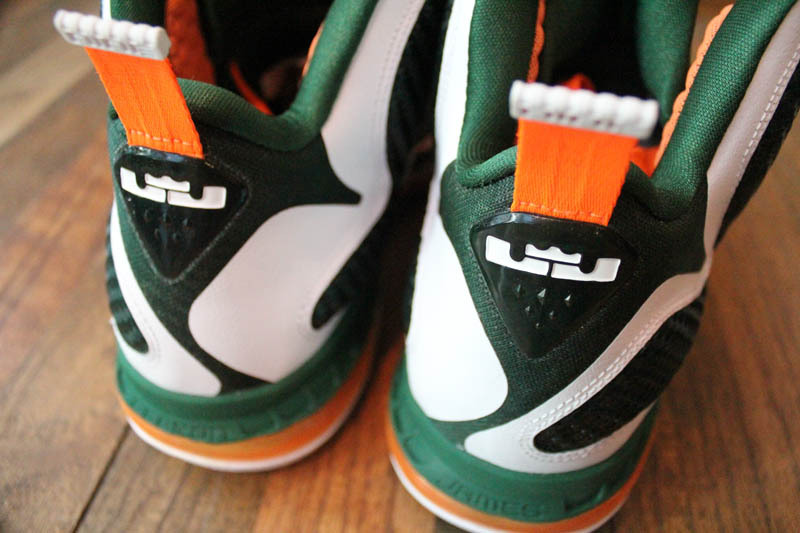 The shoe features a white synthetic upper with gorge green filling in the tongue, heel, Flywire paneling and textile "wings" on the sides. 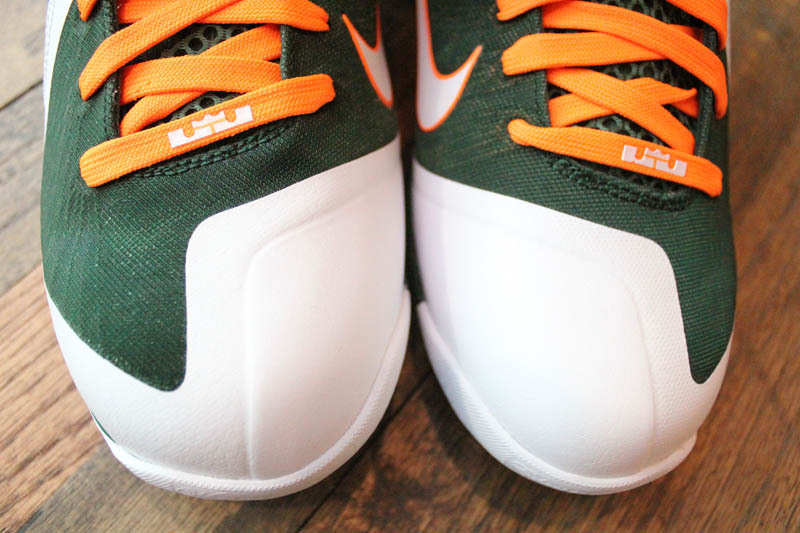 Total Orange offers color pop on the laces, Swoosh border, pull-tab and Max Air unit, while a white rubber outsole takes care of things below. 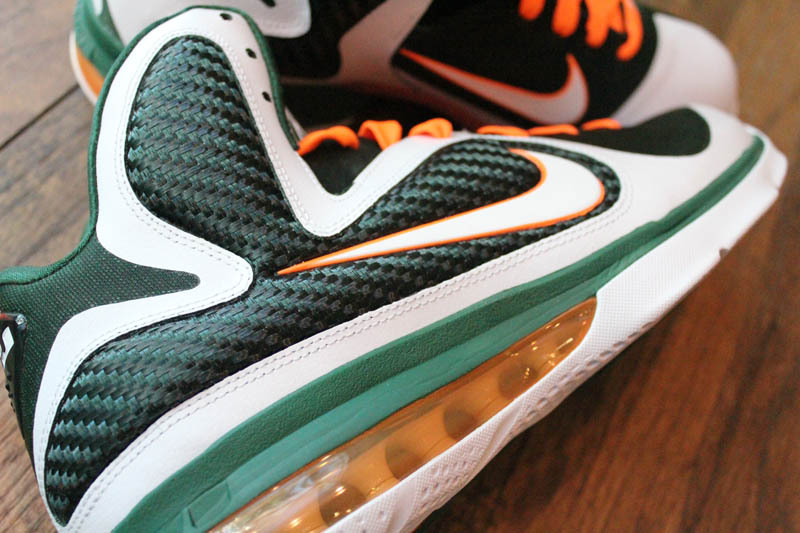 Look for the Miami Hurricanes LeBron 9 to hit select retailers like Mr. R Sports in limited quantities next Tuesday, November 29th.